Visit the experts at Pear Tree Dental for routine care like cleanings, digital x-rays, fluoride applications, sealants, and periodontal disease treatment. According to the American Dental Association, it's important that you see your dentist every six months to get a routine examination and cleaning. Remember, by seeing your dentist on a regular basis and following daily good oral hygiene practices at home, you are more likely to keep your teeth and gums healthy thereby keeping you healthier overall. At Pear Tree Dental, we will help you keep track of your appointments and will send you text and email reminders two days in advance. Scaling of your teeth with hand tools and the use of pressurized water, to remove hardened plaque from the surfaces and hard to reach areas between teeth. Buffing and polishing with an electric polisher that is designed to remove small bits of plaque. X-rays when necessary to check for underlying cavities or other problems. Discussing personal brushing and flossing habits and any problem areas that appeared during your oral exam. We pride ourselves on keeping on the cutting-edge of technology. We are equipped with digital x-rays which emit 90% less ionizing radiation than traditional x-rays. These digital images are also able to be manipulated to enhance the picture, allowing us to better diagnose and treat our patients. Our goal is to create an environment that provides the most comfort for our patients while allowing us to provide the best product. Our advanced office space and philosophy lets us accommodate the best technologies to better help you. Fluoride treatments are beneficial in preventing tooth decay especially in children and should be done routinely, generally with their six-month check-up. Fluoride helps prevent tooth decay by making the tooth more resistant to acid attacks from plaque bacteria and sugars in the mouth. It has also been shown that it can reverse early decay called demineralization. Sealants are used on children's permanent teeth to prevent decay and are only recommended when necessary. 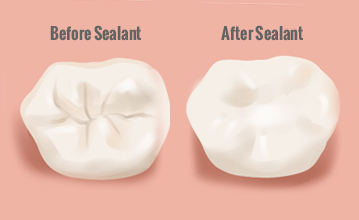 A dental sealant is a plastic coating applied to the chewing surfaces of back teeth (molars). Grooves in these teeth are so narrow that a toothbrush cannot fit into the spaces to remove plaque; dental sealants prevent the decay from getting into the grooves. 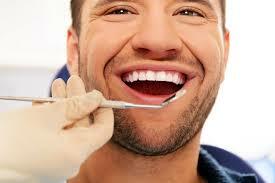 Periodontal disease or gum disease affects millions of Americans. It is often a painless infection of the tissues surrounding and supporting the teeth and is the largest cause of tooth loss in adults. Many patients are not aware that they have periodontal disease. Since it can lead to serious complications like tooth loss it is important that it is diagnosed and treated. Recent studies also suggest possible relationships between periodontal infection and heart disease, diabetes and increased coincidence of pre-term low-birth-weight babies. We have found the most effective and interceptive treatment is to perform scaling and root plaining (deep cleaning above and below the gum line). Signs and symptoms of periodontal disease include bleeding, swollen or tender gums, bad breath that doesn't go away, loose teeth, pus between your teeth and gums, or a change in the way your teeth fit together. Early symptoms of minor Periodontal Disease can easily be treated at our dental office. More serious forms of Periodontal Disease may require referral to a specialist.